Ask fellow campers about "Warren Bridge Campground" and nearby attractions. Great location just off US191 about 15 miles W of Pinedale, WY. Very peaceful with a beautiful view of the mountains. Pull-thru/turnouts that can accommodate big rigs. Grill, picnic table and fire pit on gravel site. Somewhat level. Hosts are very nice and helpful. Dump and potable water onsite. No hookups at site. Trash can for each camping spot. Envelopes at entry. Fill out and place money in envelope. Deposit envelope and put tear-off receipt on site post. Hosts told me no bears or snakes but plentiful wildlife early morning and evening. I would definitely recommend. We camped at Warren Bridge Campground in a Motorhome. Very basic pull thru sites with no hookups, but gorgeous views of the mountains! Even saw a bull moose! It wasn't clear in the park description, but there is a dump station and there are several water outlets throughout the park for filling your tank. $10 regular fee, $5 if you have a parks pass. A real bargain! We camped at Warren Bridge Campground in a Motorhome. We checked RV Park Reviews before staying here and found the park to be missing some stars; we would give it 10 stars! Camp hosts were amazing! We enjoyed our time with them and learning about the area. The views are spectacular with the surrounding mountain ranges. A perfect little piece of paradise. Watch for antelope, blue birds and moose. Nice big pull through sites, generator allowed 7am-10pm, nice picnic areas and great fire pits. Water spickets close by and dump station available for $5. Definitely would stay again! We camped at Warren Bridge Campground in a Fifth Wheel. This campsite was meant to be a stopover after visiting Yellowstone, but we liked it so much once we were parked, that we decided to relax and stay an extra night. It's dry camping with generator hours between 7am-10pm, and water spigots and dump station available. All sites are pull-thrus and widely spaced. Open prairie lands here but gorgeous views of the mountains and river. The camp host greeted me as I made my way to the fee station and gave me all the info, including temperature forecast for the night (25F) and was very friendly. Only 3 campers here when the sun set, and the host said they never fully fill the campground in peak season, so there's always availability and not strict about check-out time. The best part for me is the Verizon signal, there's a tower close by so full bars and over 64% LTE signal strength, according to mifi. We camped at Warren Bridge Campground in a Fifth Wheel. Great place to stop over to or from Jackson, especially with the right govt. pass for 1/2 off. Be prepared for very cold nights at 7000+ ' altitude. Super nice hosts. Clean vault toilets, water hose refill, dump station, day use area. We camped at Warren Bridge Campground in a Motorhome. This is a nice little BLM campground near the Green River. Sites are large, level, and well-spaced. This definitely helps to minimize noise coming from your neighbor’s generator. 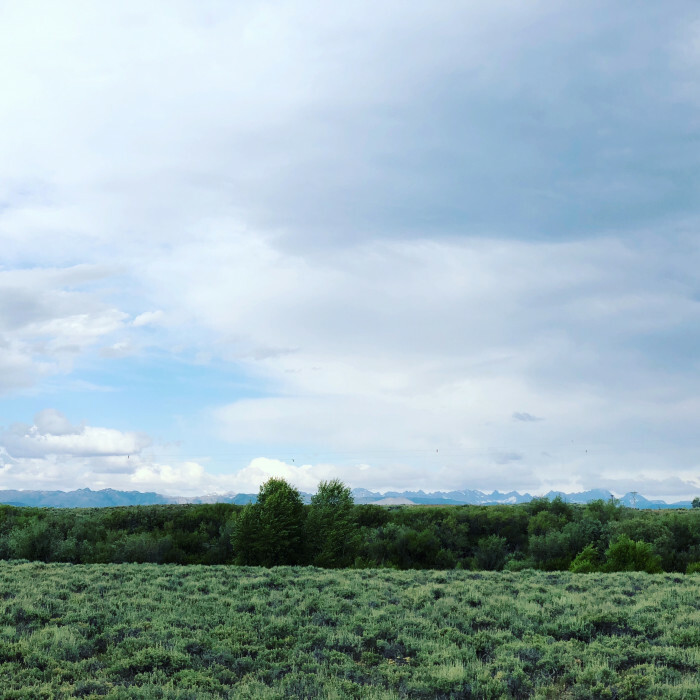 There is a view of the Grand Tetons and lots of wide open space. Shade trees have been planted on the outside campsites, but they aren’t big enough to provide much shade yet. The host is very friendly and greets you on arrival to see if you have any questions. We’d stay here again. Rate reflects our Senior Pass discount. We camped at Warren Bridge Campground in a Fifth Wheel. I can reiterate what the recent reviewers have mentioned. Good stopover or base to explore the Tetons from. Right on the Green River so, you can walk over and try your luck fishing. The camp hosts are awesome people! The Verizon cell service is very good. Plenty of space between the level pull through sites. It's a bit of a drive to get provisions so, load up before you get there. We camped here for five days. We camped at Warren Bridge Campground in a Motorhome. Price indicates Senior Pass rate. Great stopover! All sites are pull-throughs, very wide and roomy with large picnic tables and fire rings. The water is not in each campsite, but easy to get. The dump station is only $5, and free to paid campers. Lots of wildlife, including pronghorn, osprey, deer, moose and heard the fishing is good. The camp hosts were fantastic, very helpful! We camped at Warren Bridge Campground in a Motorhome. This campground is owned by BLM and well kept by the park host. We stayed in big motor-home. The wildlife,quietness, and peaceful setting is amazing. They have wonderful water and allow you to top your tanks. Good potable toilets, and dump station. Awesome scenery of the snow cap mountains. Our half off rate was base on a gold pass for national parks. We camped at Warren Bridge Campground in a Motorhome. A little windy but very clean. Bring your own shade and firewood. Great drinking water with hookups between sites and no electric. Fishing was good this year on the Green River. Vault toilets, no showers. We camped at Warren Bridge Campground in a Fifth Wheel. We had a great view of the mountains and could hear the river running near the campsite. There were antelope across the river and a moose in camp. Great hosts with coffee hour in the mornings. We'll go back next year. We camped at Warren Bridge Campground in a Fifth Wheel. Great place to camp if self-contained. Water is available as well as a dump station. They charge $5 to dump if your not camped here. Adjacent to the Green River with several areas for fishing access nearby. Really enjoyed our 10 day here. We camped at Warren Bridge Campground in a Fifth Wheel. This rate is for golden age passport holders. The regular rate is $10. This is a BLM campground with electric hook-ups & the cleanest vault toilets that I have ever seen. Water and dump station are available. Table and fire pit at each site. 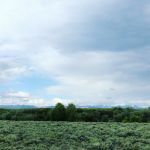 Located next to the Green River on the high plains of Wyoming with lots of sagebrush, no trees and spectacular views of the Wind River Mountains. It can be very windy. We loved the very widely spaced pull-thrus, the total peace and quiet and watching the abundant wildlife. This campground was very deceiving as it was almost full by the end of the day. We camped at Warren Bridge Campground in a Motorhome. Are you affiliated with Warren Bridge Campground ?